Maybe I just need some encouragement…. my daughter now 5 has been learning the violin for two years now. We went through ups and downs, but all in all have progressed bit by bit. We have been practising during the six weeks summer break Perpetual Motion, Andantino and a non-Suzuki children’s song in addtion to the A and D scales. So we were happy to go to the first lesson of the new school year. However the first lesson turned out to be a put your feet in place; your bow hand is wrong, your violin droops and play faster session. I thought OK after six weeks maybe alot has been forgotten and has to be reminded. She was to play Andantino and repeat Twinkle A which was quite forgotten. Yesterday was the second lesson and we had prepared Twinkle A and Andantino. Again posture was the main issue and Andantino and the children’s song was to be played (of course we had not focussed our practise on that one). However she never got to play the pieces right to the end, as her posture was corrected all the time and the tempo was sped up so she could not catch up. I felt sorry for her as I could see her fighting back tears while trying her best. I was just wondering if there is a special reason for conducting lessons in this way. I know her posture is no where near good, but she is corrected all the time that she forgets which piece she is playing or where she is. At home I do have the feeling the tunes sound fairly ok—not perfect, but recognizable. In class it just seems to be like we had not practised at all. (I wonder if a teacher recognizes that she did practise or if the posture issue just covers all the efforts made). She gets so insecure that she plays even scales really badly. I am at a loss how to encourage her. She told me she only wants to go to group lessons and not to private ones anymore. Do the pieces have to be played that fast form the very beginning? When practising I tell her play it slowly first to remember all the notes, than play it as fast as you can keep the tempo for the whole piece. How do I help her bow hand do what it is supposed to do? As she is starting to block off any correction from my side I usually don’t press for it. I told her that her teacher is very strict, but I know she had practised and was trying her best, so she did not need to feel rotten or sad. She did not even want to tell her father about it—she loves telling him about the day and will want him to play the tunes along with her. I was just wondering if we were practising in a “wrong” way or whether other kids got through the same process. Talking to mothers always make me think the other kids must be progressing better, faster with less effort. Is it normal that learning to hold the bow takes soooo long until it is to be considered OK? I just do not know how to make learning it correctly a fun thing. I do not want the instrument to become something horrible. Maybe one you more experienced parents can give me some encouragement and tips how to carry on. Have you had a parent-teacher conference (either in person or over the phone) about your concerns? 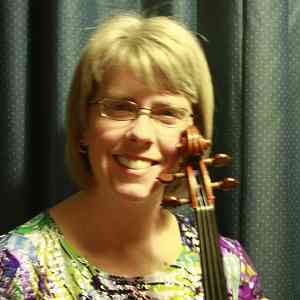 The reality of playing a string instrument is that posture is refined (students call it “nagging”) for years; bow holds are refined and worked on for years and years as well. For example, a health GOAL in someone’s life might be to get to and then maintain a certain weight by eating right day by day. A health PRIORITY is breathing. If someone stops breathing, you don’t say “let’s finish getting you to your target weight, and then we’ll take care of the breathing problem”. Unbalanced, unhealthy posture is just as deadly to musical playing as not breathing is to our physical lives. Perhaps you can ask the teacher to focus on only one point at a time—posture without speed first? I am more inexperience than you. 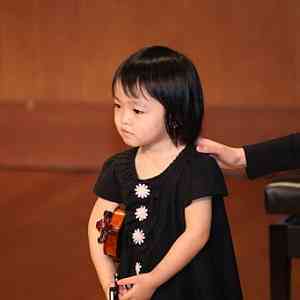 My 2yo daughter just started Suzuki violin for 3 weeks. I can’t imagine, if she has to go through that. Is that the same teacher that has been teaching your daughter for the past 2 years? I am reading Edmund Sprunger’s book , and I do understand that teacher will correct one mistake at a time. Does the teacher correct many mistakes in one practice? If she does that , I can imagine that is very discouraging.. Have you talk to the teacher? It wasn’t until my kids were in Book 4 that I understood why their teachers had been so picky about what I saw as annoying little details back in Book 1. A lot of “real” violin playing (shifting, vibrato etc.) depends on these tiny factors, and the kids in our studio who dealt with them earlier had a much easier time with harder material than the ones who managed to “get by” without really focusing on those issues. Since your daughter is now beginning the second half of Book 1, her teacher may have decided that this would be a good time to strengthen that foundation. It wasn’t until my kids were in Book 4 that I understood why their teachers had been so picky about what I saw as annoying little details back in Book 1. A lot of “real” violin playing (shifting, vibrato etc.) depends on these tiny factors, and the kids in our studio who dealt with them earlier had a much easier time with harder material than the ones who managed to “get by” without really focusing on those issues. This was my experience also. My daughter (mid book 5) was one of those who didn’t get a strong foundation at the beginning, and boy did we suffer through book 4!!! Her posture is beautiful now, and her bow hold is getting there, but it is always a work in progress. Plus, there is the fact that they’re still growing, and just when you think they’ve got it, they have a growth spurt and you’re back at square one. That said… it is possible to work on this nitpicky stuff without making the child feel bad. “That was great! Can you play it again just like that, and this time also point your scroll higher,” or “Wow, did you hear how beautiful your tone was when you kept your bow straight? Let’s see if you can play the whole song that way.” I would be very concerned if the teacher was not teaching in a positive way, and I think a conference is definitely in order. Also, I HIGHLY recommend Helping Parents Practice, by Ed Sprunger, which not only is full of tips and advice about how to make practicing more pleasant, but also gives a lot of insight into why practicing is so difficult in the first place. There’s no such thing as “just a parent” in Suzuki education! You’re 1/3 of the triangle! And I find that’s why I like starting kids at age 3 or 4… they tend not to get bored with doing 10,000 bow-holds nearly as fast as the 6-7-8 year olds. Sounds encouraging to learn that bow hold does take ages to get right. I was just a bit sad that it seemed to be the main issue without a perspective of improvement. I might have to be the one to give the positive notion that things are or will get better if we keep practising as the teacher is not very liberal in giving words of praise. Maybe it will be one of those things that will fall in place some day, just like learning to hold the strings down properly if one wants a nice sound to come. It is not that my daughter does not know how to do it in theory. She was quite able to “teach” me how to hold the bow when I asked her to put my fingers into place and correct me when I deliberately put them wrongly. But to do it herself is another story. She starts of OK, but when she starts to play everything just slips away. Any tips how to help her not to drop her violin arm ending up with the instrument pointing downwards. Somehow reminding her all the time is not enough. I am just asking myself whether it is also due to the fact that the school merely puts a bit of foam as support under the violin. I have seen other pupils having extra supports to fix to the violin. 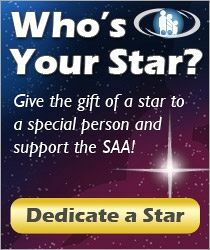 Happy to get any advice from you regarding this issue. If she’s willing to be silly, we tied a helium balloon to the scroll for a couple of practices as a cute reminder. I think everyone had great suggestions on here and some of those things I’ll have to steal to help me with my own son. With your situation it sounds like you and the teacher aren’t on the “same sheet of music” Your goals and the things you are celebrating as successes with your daughter aren’t the same as what the teacher is striving for necessarily. Sounds like your teacher’s concern is 100% posture and that is how he/she is measuring progress. The disappointment came in because you and your daughter worked so hard on her learning the notes to the songs and to you that was a success, but the teacher only saw posture that needed a great amount of improvement. Talking to the teacher is fair, but I think it will also be beneficial for you to adjust your priorities and goals to the teacher’s priorities and goals. When you are at home with your daughter, make a huge deal about her posture, not playing through the songs. I think if you focus on posture at home you and the teacher will probably come to the same place eventually. I experienced this a little also. My son was learning the “notes” but then I’d hear the teacher go on at length about a skill once he played for her. I’ve really learned what our teacher values and I am sure to focus on that at home when practicing. I’ve noticed that matching goals and coaching to the teacher’s interest and concerns has him moving at a very fast past and she is very very pleased now. Over the course of time you get to know your teacher just like anyone else in the family, don’t overlook the signs and get discouraged. This can get frustrating for all parties involved. I’m not a musician, so I really had to learn this. Try focusing 100% on the teacher’s priorities out for several weeks and see where that gets you. Now implementing this will also take practice. I’ve learned to pick and choose items throughout the week. For example, four days a week are completely “bow hold days” and no matter how well my son is playing a song or a few new measures of a new song or scales, if his bow hold isn’t matched nearly 100% to the teacher’s guidelines/criteria we must continue repetitions until he is able to achieve the designated number of repetitions with that “beautiful bow hold”. (That doesn’t mean it goes sloppy throughout the rest of the week, the focus just isn’t as laser sharp on the other days) We’ll have 10 repetitions of a few measures planned, and in order to get a full count the bow hold must be up to standard. The same goes for other skills relating to posture. He actually likes the challenge. We make it into a little game. We celebrate immensely for great posture. I’ve also noticed that gives me something to compliment him on when he’s learning a new difficult skill or song, if he doesn’t play it well I can say “your how hold was GREAT while you played that” and it makes him feel proud. I’ve noticed with great posture, the rest follows and my son can really settle himself into a song and play it with dynamics, etc. His teacher also emphasizes the “ringing tones”. She doesn’t put a song in the “polished” category until he can really get a lot of the ring tones, even the tough ones. So that is another focus point during at home practice. It has worked too…his little ears are really pre-occupied with that ring tone to a point where he’ll correct his finger while playing a note if he doesn’t hear it. I would say if you try “matching priorities” and it doesn’t work after several weeks, then it might be time to think of some other avenues. I agree with deenaz81. This year I even put up a sign in my studio that I received from a teacher trainer listing the priorities for teaching and playing. Posture is first, tone second, intonation third, musicality fourth and learning new notes is last. This helps me to keep my priorities in order and hopefully reminds parents why I teach the way I do. For practical things: if her violin is drooping a lot—is it the right size? Even a violin that is a little big is really difficult to hold up. Does her shoulder rest/sponge fit properly? 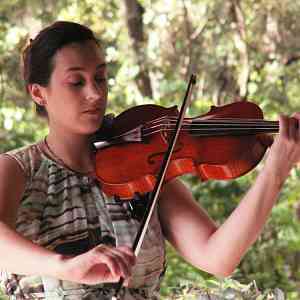 Do you practice holding her violin on her shoulder with her left hand on her right shoulder? Listen to a twinkle variation each day doing this. I find often drooping violins are just due to the arm/shoulder being tired. As soon as it starts to droop—go to rest position and shrug out the shoulders, do some stretching, etc. It takes endurance to hold the violin—the muscles need to be developed. When my students start I usually only have them hold the violin on their shoulder for about 10 seconds at a time. Every day they get stronger and gradually are able to hold it for longer and longer periods of time without drooping or discomfort. Maybe for now aim for no droops within a really short time: one phrase, one measure—whatever it takes so that she is successful. Another game I learned from a teacher trainer—pretend that there’s a water pistol/hose on the end of your scroll and try to squirt the teacher/parent. This usually fixes any drooping violins!